The diagnosis and treatment of cancer is improving all the time. Now, it’s often possible for a medical professional to spot the disease early enough that you can receive treatment before the condition poses a serious threat. However, to receive that preventive care, you have to work with a medical professional. This is one of the biggest reasons why it’s so important to attend regular checkups at both your doctor’s and dentist’s offices. Your dentist can administer an oral cancer screening during your biannual visit. If you don’t make those visits, you won’t receive this care. Oral cancer screening isn’t an elaborate process that takes time or a labor-intensive kit. In fact, your dentist will likely perform a simple visual examination to screen for oral cancer. When your dentist performs this screening, he or she is checking for precancerous lesions that may be at risk for becoming cancerous. If your dentist spots something concerning at an early stage, he or she can then recommend treatment and remove the potential threat before the condition develops fully. This screening can be performed during the course of your normal checkup and examination. Of course the threat of cancer is enough to get the attention of most people, but this isn’t the only condition that you can preempt with preventive care. Preventive dentistry is actually the most effective way to prevent any number of oral health care problems. Treating cavities early prevents the need for treatments like root canal therapy and dental crowns. Receiving a professional cleaning gets rid of plaque buildup and prevents cavities from even forming. If you’re not currently making biannual trips to your dentist, it’s time to get on a schedule! Relying on biannual dental visits as your only method of caring for your teeth would be silly. Your oral health care starts at home, with you. Brushing your teeth at least twice a day disrupts plaque formation and reduces your risk for cavities. Flossing between teeth removes bacteria from areas that your brush head won’t reach, and it helps to prevent gum disease. These are small, routine steps that you can take to prevent serious oral health issues from dragging you down. Preventive care is the best way to avoid scary health problems. Professional cleanings, oral cancer screenings, and preventive care are all part of regular dentist appointments. 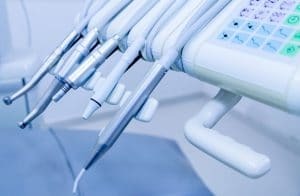 At Greenhaven Family Dental, the staff uses modern dental technology to provide you with better care and reduce your risk for oral health problems. Schedule your next checkup and cleaning by contacting Greenhaven Family Dental in Baxter, MN at 218-454-0523.